This lesson will guide a Charter Organization with multiple LEA's, through the steps to set up and use the CRDC tool in order to export your files for submission to the Office of Civil Rights. These extracted files can be submitted to the Office of Civil Rights using their data collection site. 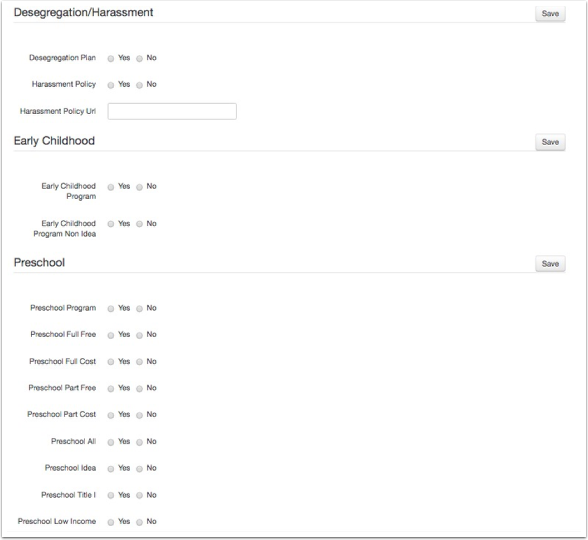 This workflow is unique for organizations that have a separate or different LEA from the District. This lesson is for Charter Organizations with multiple LEA's only. 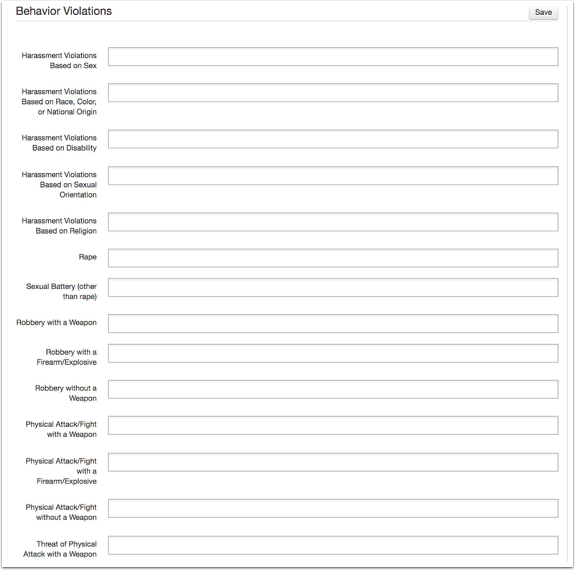 If you do not have multiple LEA's, please stop and review Civil Rights Data Collection Tool. 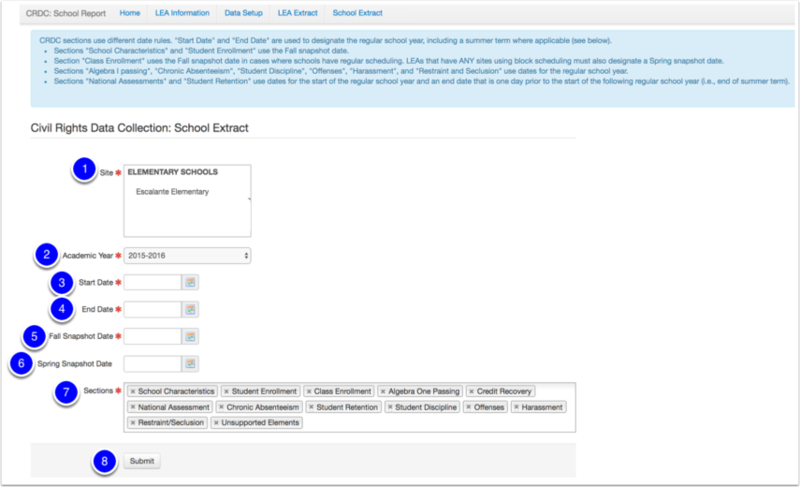 Ideally, your District has already completed the tool as described in Civil Rights Data Collection Tool. For Charter Organization with multiple LEA's, you have to complete the process again, but with a few manual tricks to submit your files accordingly. Great question! Each school that has its own LEA code and is technically, it’s own district. This means that if you operating with more than one LEA within your Charter Management Organization, you are operating more than one distinct district within your CMO. 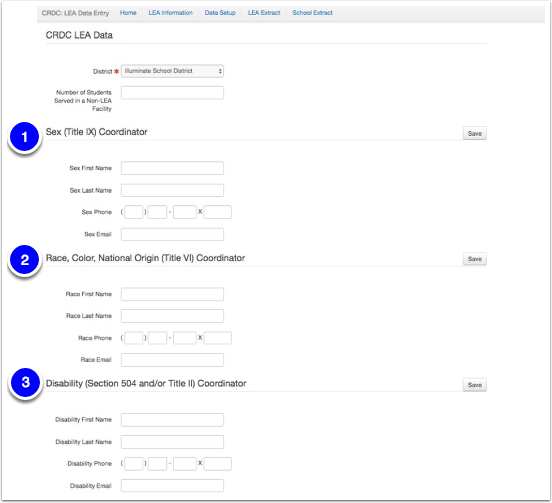 As such, each LEA has it’s own NCES id’s and must report individual LEA files with the necessary NCES ID code populated. This falls into the category of “man we wish we had a sandbox site to play with before the submission window opened up!” that Illuminate continues to beg for from the Civil Rights Department. It is highly advised to work on one site at a time when doing this process. Please make sure that the only NCES IDs that are populated are the District NCES ID and actual school you are generating these extracts for. Temporarily, enter your CMO/LEA NCES ID Number for your charter organization in place of the District's. Don't worry, this is temporary and you will change this back. 1. Go to Cog Wheel, then select Site Management. 2. Click to Edit, to be able to enter the temporary information. 3. 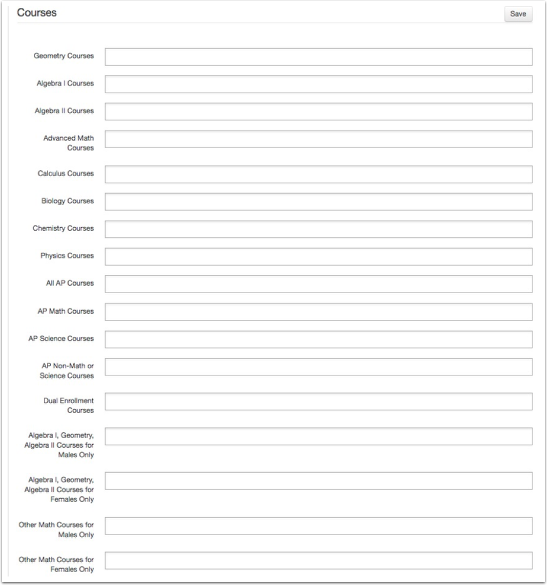 Scroll down to the CIvil Rights Data Collection (CRDC) Fields section to enter the charter site's District NCES ID Number. If the School NCES ID Number is not entered, now you will enter it in Site Management for the first site you are working on. 5. Then, go to the charter site you are working on. Only if Contact Information is different or unique to that of the School Site will you update this area. If ANY of information doesn't change, then leave this portion alone and skip to the next step. Only if the following Information is different or unique to that of the School Site will you update this area. This is why you temporarily changed the District NCES ID Number. Site will default to the organization name you placed a NCES ID number. There should only be one available in this menu. 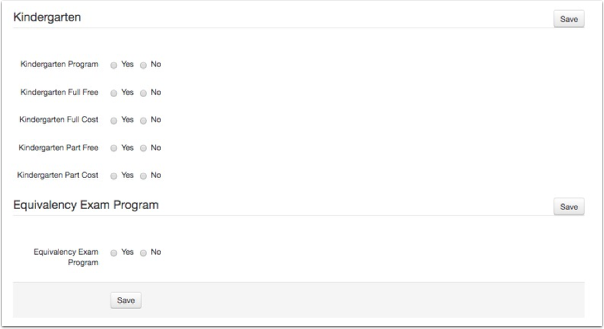 Only sites with a NCES ID number populated, will appear on the dropdown. Now that you have completed the first (or your only) school site, if there are additional LEA's, you will repeat steps 1-5 for each organization.